Please take the time to fill out and return a membership form if you haven’t already done so this year. Or join us as a brand new member and help support cross country skiing in Stanley-Sawtooth country. 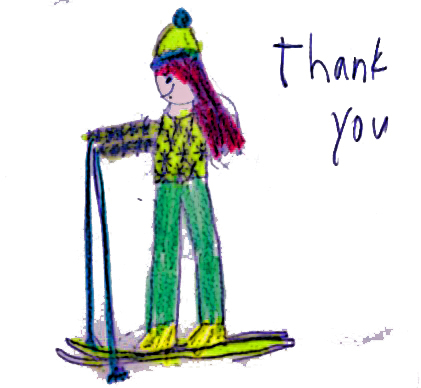 The Sawtooth Ski Club could not exist without the support of our members, both financially and in volunteer services. Your membership dues allow you to ski over 30 kilometers of groomed trails at the Park Creek and Alturas Lake Ski Areas. We ask for a most reasonble membership fee of $15 a year for individuals and $30 for families. Donations and dues are used for gas, equipment, grooming, signing and maintenance. If you would like to donate on line you may use the button below to donate via your credit card or paypal account. The Sawtooth Ski Club is a 501(c)3 non-profit organization and donations are tax deductible. Thank you for your support.